It’s that time of year again! That time when sending out cards becomes an art form. Let’s make your cards ROCK! 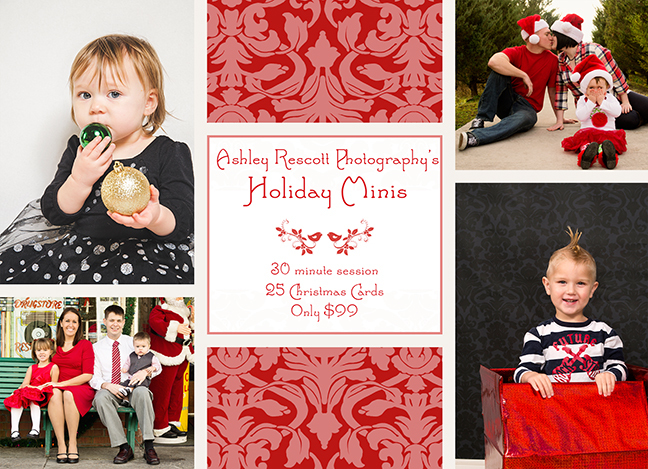 I’m offering a 30 minute session on location, or in studio this year. PLUS you’ll receive online copies of your images AND 25 custom greeting cards. The best part? It’s an absolute steal at $99! Seriously! I have very limited spaces available! Contact me asap to book your session!